To see ‘wonder’ and ‘amazement’ in Chaim Boruch always leaves me stopping in my tracks (albeit snowy ones, this time) and seeing the view with special lenses. Yesterday we decided to drive 3 hours to Tahoe to show the kids the snow! I’m not really sure what I was thinking, as I sit here completely aching form head to toe from the entire ordeal including carrying Chaim Boruch halfway down the mountain during meltdown number one. But in retrospect it was fun to just get away and explore and experience. But really, the gift of the day were the happy moments that Chaim Boruch sat (yes, without proper snow gear since we do not ever see the snow and maybe were a bit unprepared!) in the snow experiencing something new for the first time ever. 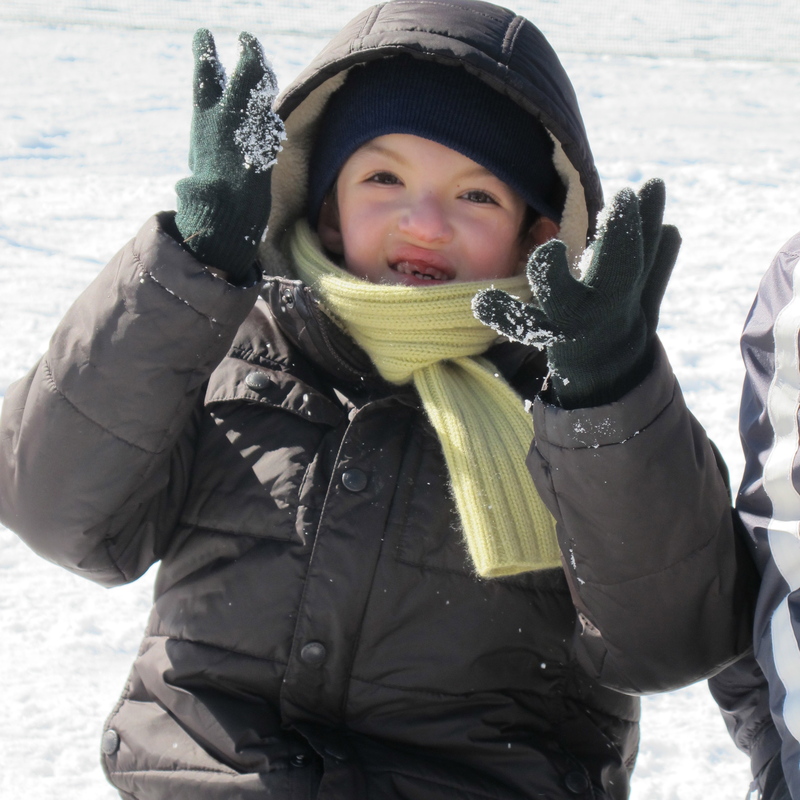 His eyes shone bright just like the fresh snow and his smile radiated a sense of awe and wonder. I stood by him, also in wonder, seeing the snow through my child. No words could he use to describe what he felt yet not enough words could I use to describe how I felt. A blessing in my life to really see the world around me. Awe. Wonder. Snow. World. Chaim. Boruch. Life of Blessing.